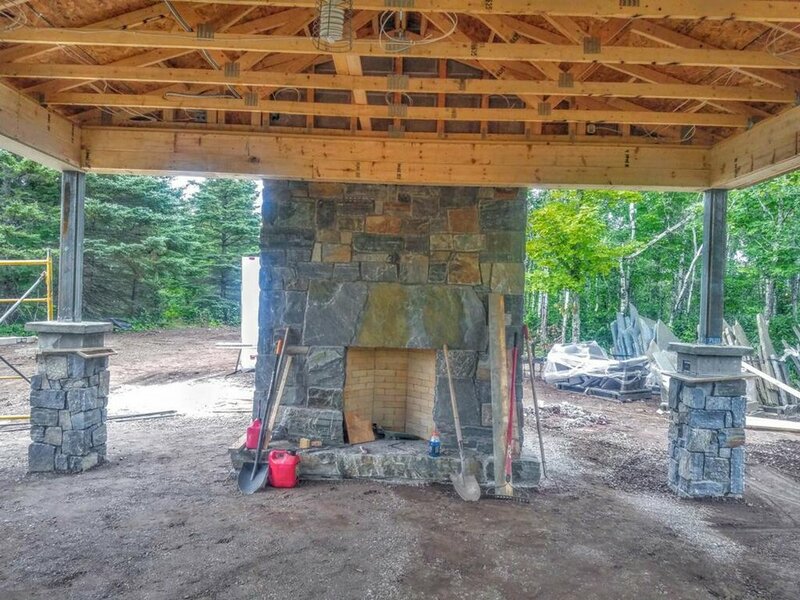 We spent a good part of the summer on this massive project that included a 20-foot-tall fireplace. "Despite the room’s voluminous square footage, the glow (and comforting scent) of the kitchen’s two vital organs — the gleaming copper-clad pizza oven, and the sturdy tile-and-steel hearth, both fueled by red oak — are never out of sight." "Twin Citians have already long enjoyed Kim's extraordinary pizzas at Pizzeria Lola and Hello Pizza. Young Joni, in a large industrial space crisscrossed by communal tables and highlighted by a huge copper-skinned wood-burning oven, expands the offerings to small plates: grilled mushrooms bathed in chestnut-miso butter; huge head-on prawns, painted the color of freshly fired brick with red-chile fish sauce. The pizzas are blistered and bubbly and perfect." Check out Young Joni's site for more gleaming reviews! I took my own advice and built a masonry heater for my house. It's complete with a stone mural and pizza oven. Those beefy trim stones had a previous life on the mean streets of Duluth. The large "pebbles" got their rounded shape from constant churning on the Lake Superior shoreline. 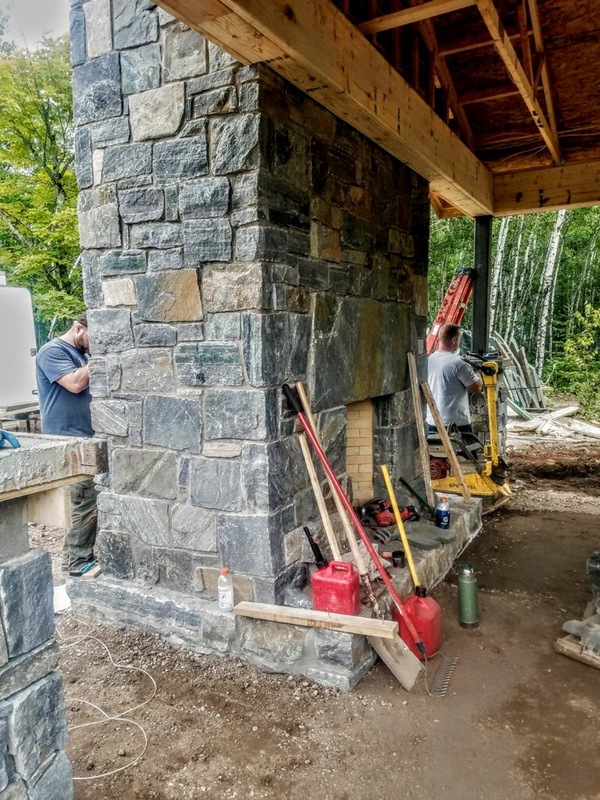 More than a typical fireplace, a masonry heater is built with special masonry blocks that absorb heat from a quick, hot (and therefore efficient) burn. Two burns per day will keep the heat radiating from the masonry "mass" all day and night. Less heat goes up the flue and you get a lot more mileage out of your wood fuel! Sign up to get blog posts via email. The stone murals I design for my clients are typically scenery. They often go over a fireplace or a kitchen range. Think: stained glass in stone. Although I use a combination of stone, glass and tile for a full range of colors and textures. Below is one I created recently that graces a back splash to a commercial-style kitchen range and flows around both sides of the hand-hammered copper range hood. I always start with a sketch (okay, several). Then I select each piece and color from a wide variety of stones and glass. I cut thin veneers of varying thickness, depending on the 3D effect I’m trying to achieve. The individual “puzzle pieces” are cut from a computerized water jet cutter. Using the dimensions from the client or contractor, I assemble the mural on a backing board which allows us to ship it ready for installation. This one went to the Ozarks. Here you see how the thicker stone pieces representing the tree boughs pop out from the blue background to put the tree in the foreground. Each mural is assembled on a backing board, so that it can be transported and mounted on the job site. This one was shipped all the way from Duluth, Minnesota to the Ozarks. A fireplace knows its place. Sometimes you want a fireplace to stay quiet. Be part of the room, but not the centerpiece. At other times, you want it ablaze with color, even when the fire’s out. These beautiful, rose and amber stones create a colorful, yet elegant presence without pretense. Know how big of a statement you want to make. 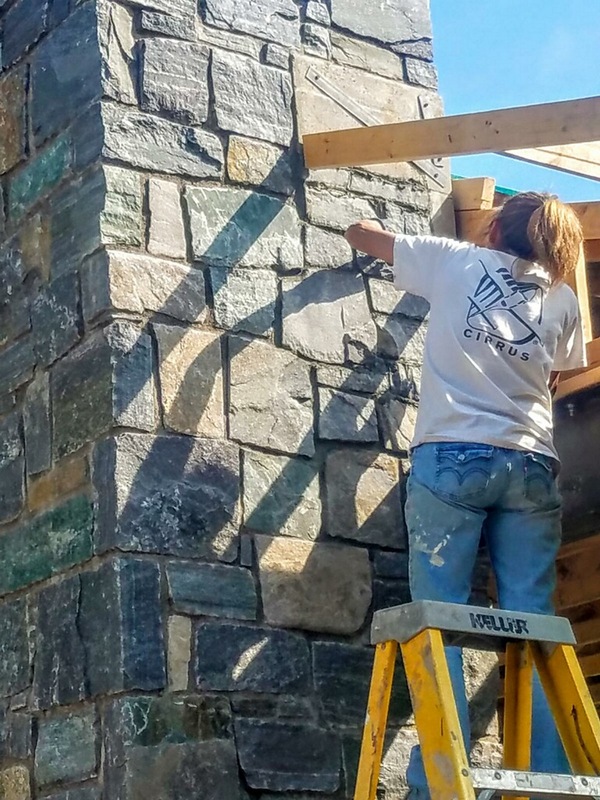 And use descriptive, mood-setting words with your stone mason, like classy, stately, elegant, dramatic, bold, rustic, beefy, and so on!